Why Is My Air Conditioner Frozen? What to do Next? Is your air conditioner frozen? This is one of the worse things that can happen to a homeowner. Not only does this leave your family in an uncomfortable situation, it also can be hard to diagnose the problem if you don’t know what you’re doing. There are several things that can cause your air condition to become frozen. If you know what to inspect and look for, the job will be a whole lot easier. If you’re wondering what to do when your air conditioner freezes, you should start letting the ice that has accumulated on your unit thaw out. To do this, begin by making sure your system is completely shutdown. It’s also essential that you shutdown the breakers as well. This is a safety measure that will prevent your circuits from shorting out while your system is in the process of thawing. Remember, water and electricity are a dangerous combination. When the ice that has built up on the inside of your air conditioning system begins to thaw out, it’s going to drip profusely. Find yourself a bucket or even a trashcan and place it below your unit. This will allow you to collect the water and prevent any sort of property damage. Typically, it will take a few hours for the ice to fully thaw and melt. However, it’s important that your wait at least 24 hours for your unit to fully dry out before you begin the diagnosing and repair process on the air condition that’s frozen. When you’re trying to figure out how to fix an air conditioner that’s frozen, one of the first things you should check is the filter. Overtime, your system’s filter can become clogged and filthy. As a result, airflow decreases and ice will begin to form on it. To keep your system running smoothly in the future, it’s best to change the filter once every 2 to 3 months. If you do find that that this is reason why your air conditioner is frozen, you’ll want to head to your local home improvement store, purchase a new filter and then replace it with your old one. Once you have changed the filter, you can restart your system. In addition to a clogged filter, there are also a couple other issues than can cause a decrease in airflow, and like mentioned above, a decrease in airflow will likely result in your evaporator coil becoming iced over and the system freezing up. A restrictive filter is one of these issues. A restrictive filter will decrease the airflow in your air conditioning system by quite a lot. It’s important to make sure you to read the owner’s manual, so you know what kinds of filters you should be using. Another thing that can decrease airflow are dirty evaporator coils. Make sure you open up your system every couple of months and clean out the dust, grime and dirt. This will not only keep air flowing productively through the system, the regular cleaning will also extend the life of the system too. Invest in the right Freon. Most devices that were manufactured before the year of 2010 will require R-22 and most of the systems manufactured after 2010 will not use Freon. They will tend to use hydrocarbons, ammonia, sulfur dioxide and R series refrigerant gas. Shut down your system. This includes the unit itself and the circuits in the breaker box as well. Equip yourself with a breathing mask, goggles and gloves to protect yourself from the fumes that the Freon give off. Test your system. You can do this by connecting a temperature gauge to air condition’s valves. It will take a few minutes for the gauges to acquire a proper reading, so just be patient. If the gauge displays an average of 45 degrees Fahrenheit, you know your Freon levels are fine. However, if the reading you get reveals a number larger than 45 degrees Fahrenheit, then your Freon levels are much too low. This probably means you have a leak. Find the leak. To do this, you’ll need to attach the gauges to the various lines inside of your air conditioning unit. By doing this, you’ll be able to notice any low-pressure problems. If you’re unexperienced at doing this, you can always pick up a Freon kit at your local home improvement store. These kits usually include full instructions complete with diagrams too. Attach the injection hose in addition to the can of sealant to your air conditioners compressor lines. Fix the leak with a bottle of sealant. 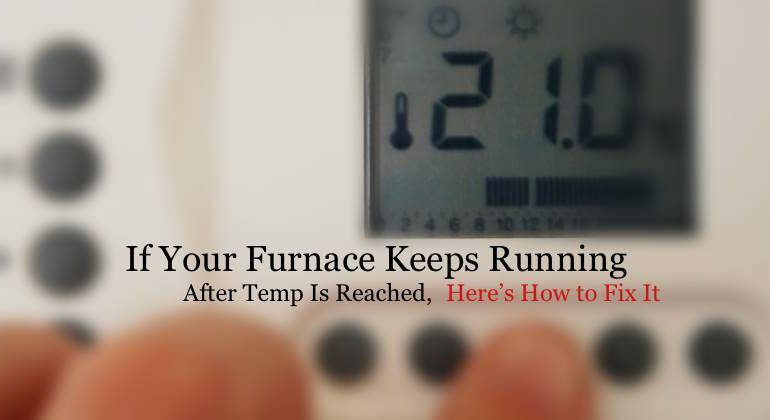 First, you will need to turn on the power and start your air conditioning unit. Follow the instructions on the sealant bottle you purchased. You should let the sealant run through your system for at least a minute. Recharge your system with refringent. You will need to reattach all the gauges that you disconnected. You will also want to attach the Freon bottle to the gauges. Make sure you reattach your temperature lines too. Once everything is reattached, you can now release the Freon into your system by slowly opening the valve on the bottle. Above all, if you’re inexperienced with this sort of thing, invest in a Freon kit. Dirty and broken cooling fins can make your air conditioner become frozen. If you’re not familiar with what the cooling fins are, these devices help with the transfer of heat by providing a larger area for the heat to flow along as it moves from the cooling coil to the outside of your unit and throughout your home. The cooling fins work in conjunction with the evaporator coil. If these fins are broken, they can prevent the air from traveling moving through the system and ice up the evaporator coil. It’s also essential that you inspect the cooling fins for dirt, filth and grime. These cooling fins should be cleaned at least once every two to three months. To clean them in the most efficient manner, use a vacuum attachments that can get hard to reach spots. This will keep your air condition running smoothly.